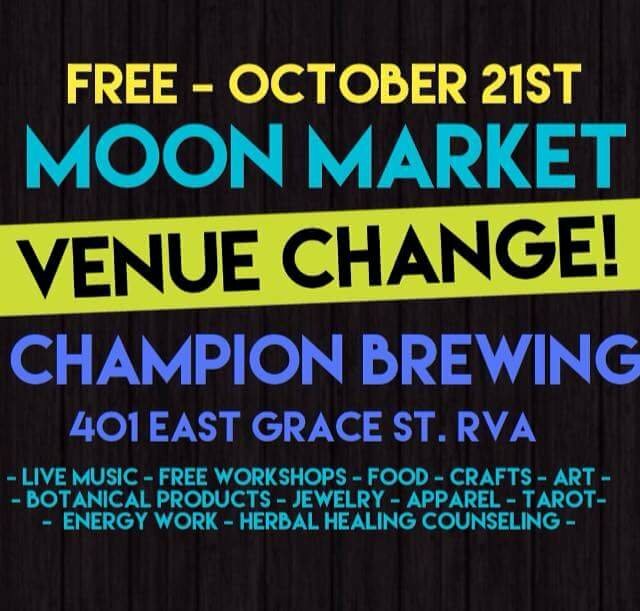 Come out tomorrow from 12-4 to see our family at the October New Moon Market taking place at the Temple of The Cosmic Mothership on Richmond’s Southside! We will be selling wood crafts, maybe a piece of furniture, teas, salves, facial toner, lip balms, earrings, sugar scrubs and more!! Please come out and say hi and see us and the other AMAZING vendors! It will be a blast!